There you are standing and looking at your dirty dishes piling up on the kitchen sink. Laundry that still needs to be folded. You have no idea what to cook for dinner today and your kids are somehow fighting over who gets to play with the toy first, again!. You want to crawl under the sheets and cry. This is mom burnout! Every mom has gone through it more than once and maybe will still go through mommy burn out throughout their life, if they don’t put a stop to it. I’m a stay at home, work from home mom and I love it. But, being a stay at home mom is not always peaches and cream. It can literally take a toll on you if you let it. Here’s the thing mom, you don’t always have to be the hero of the story. You know? Always having a tidy and clean home. Having the perfect healthy dinner on the table at exactly 7pm every night, you don’t have to do everything for everyone in your family all of the time. It will burn you out and will leave you defeated. This is coming from someone who has been there a couple of times. I wanted a way out, I wanted to feel like I was someone other than just a housekeeper and a stay at home mom. I wanted my identity back. I deserved to do things that I wanted to do. You deserve to do things that makes you happy. 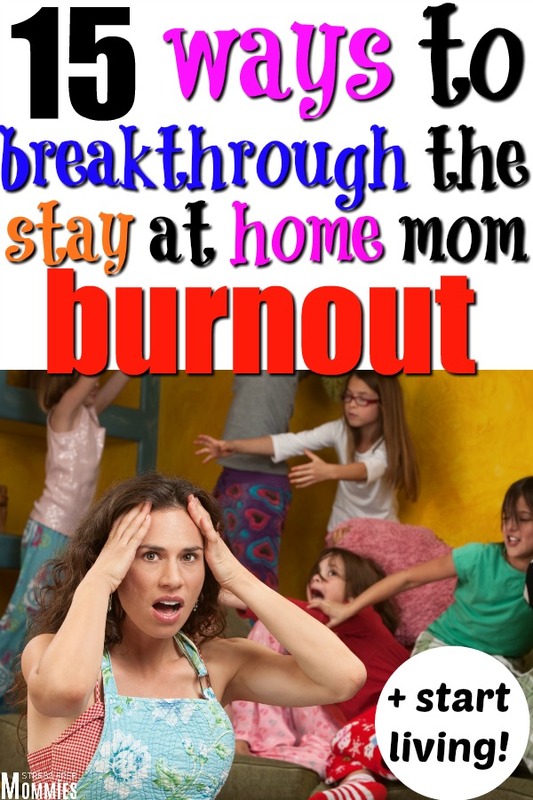 This is going to help you get rid of the stay at home mom burnout and start living! Disclosure: This post contains affiliated links. You can read my full disclosure here. In order to avoid the mom burnout, you need to put yourself first at times. It’s okay to say “ You know what, I need to do something for me today” . Go to the nail salon, for a mani and pedi. Or go to the hair salon, and get a fresh new look. Have someone to look after your kids and go get a massage! I mean, it will make you feel alive, happy and it’s seriously life changing, specially on bad mom days. You can also have a spa day at home with this spa kit! When you do something for you, doesn’t it make the day feel a lot smoother and happier!? Want to know a little secret of mine? I sometimes have unproductive days, where I don’t do do the laundry, I don’t cook, I don’t work on my blog or anything that for that moment is stressing me out. I take a chill pill and just don’t do anything. You know what? You should try it too! Who says you have to do this and that, right now, at this very moment? It can literally wait mama. Take a break and say no, I’m not doing this today. The next day, you’ll wake up with energy and the mindset of getting things done. Because the day before you rested, yes, rest is a word! If you can’t seem to get rid of clutter, have a messy house and you desperately need help. You should check out The Organized Home! for help. Because having a messy and disorganized home, can make you feel exhausted and can contribute to feeling burned out as a mom. I know you’re probably reading this and are thinking “ why would I do that and what makes her think that I want to start a channel”, haha! I know! This might sound extremely crazy or out of the box for you. But being a stay at home mom can be boring if you’re not doing anything productive or fun for yourself! You don’t necessarily have to start a YouTube channel, but I do encourage you to start something. Maybe start a mom blog (like this one! ), open up an etsy shop, or anything really. The point is to have something to look forward to everyday, something that excites you and makes you want to be productive. 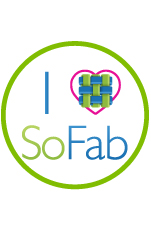 Do something that you have a passion for and turn it into a business or simply a fun hobby! I created this blog and started my YouTube channel, because I wanted to do something other than just be a stay at home mom. 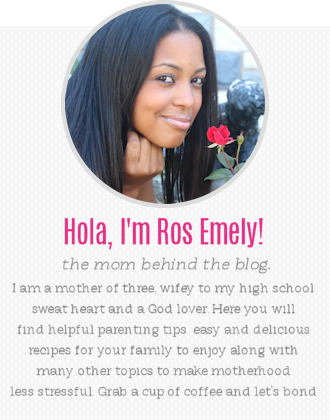 I wanted to help people by sharing my tips (on the blog) and my recipes (my YouTube channel). And you know what? I’m making an income from both, and it’s amazing! Music is everything! You can relate to it and depending on what song you’re listening to, it can make you happy and ready for the day. You can listen to a gospel song and be inspired and motivated. You can listen to an upbeat song and even start dancing. It just gets your juices flowing in a positive way. If you have friends or family members near you, go out mama! Every time I go out with my sisters, it rejuvenates me, because I’m laughing non-stop and just being myself. We talk about everything, we go shopping and then eat at our favorite restaurant. It’s a much needed break! I do miss my kids, but let’s be honest here, we can take a girls day out any time, right? Also, if you can’t go out, then call a friend. Call your mom, your sister or your cousin. It will help tremendously because they are there for you. You can talk to them, they can give you advice and just make you feel good. My enjoyment of nature is going to the supermarket or Target alone! (lol, I’m kidding, maybe?) If you need a break from all of the chaos that it’s happening at home, then leave and take a walk. Of course, once you’re partner has come home from work. Take a breather, it’s all someone needs sometimes, to avoid mom burnout. It’s effective and letting the breeze hit your face, it’s quiet relaxing. Simply,breathe,think and let go of your anger, your stress, your unhappiness. That’s what long walks or car rides are for, to clear your mind. This is another way that I relax and give myself a much needed me time. I read a book. It’s that simple and so effective. Reading a book, relaxes you and makes you happy. You’re in a zone and that’s a good thing! 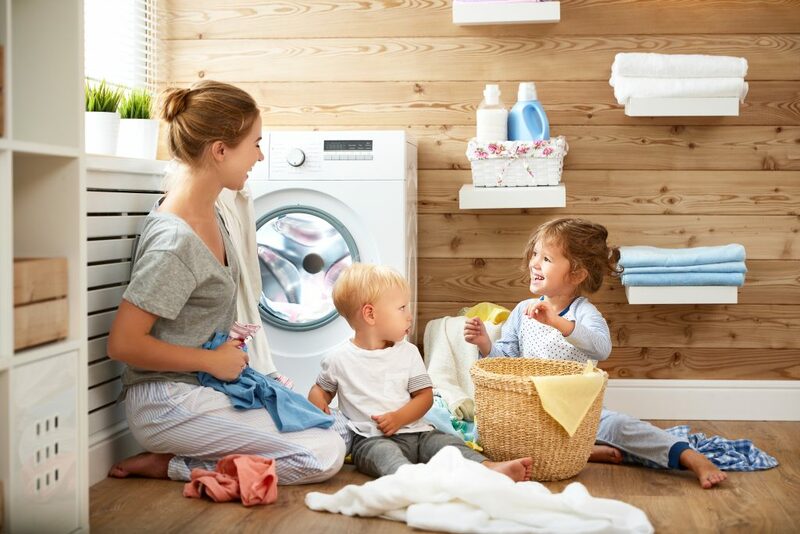 You’re not worrying about your kids fighting, or worrying about the laundry that still needs to be folded. Or, the fact that you didn’t make your bed today. Get lost in your favorite book, in a silent place of the house where your kids can’t go ask you for a cup of juice, when daddy is clearly sitting down in the living room. Again, this is another way, you can avoid mom burn out and start living. By doing something that you have always wanted to do or try. Maybe you’re into baking or cooking, and taking a class would be fun for you. If you have always wanted to take a Pilates or yoga class, do it! Do you want to learn how to sew, if there’s a class, take it! Just go out there and do something that you love. 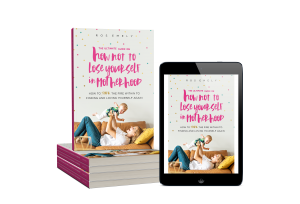 Just because you have kids, does not mean you have to lose yourself in motherhood.No, mama, you have the permission to do something that makes you happy, that will inspire you to be a better version of yourself. Let’s go! You are married or in a long term relationship because you both made a promise or many promises to each other. One of them is to be there for one another, and now is the time that your partner needs to show this promise. I get it, he’s been working all day, he just got home from work and you want to let him relax. You don’t want to “bother” him because after all he was working. Guess what mama? You have been working all day too, at home. Yes, it’s actually a job, non-stop job and you need a break or you will literally lose it. Ask your partner for help, to help you with the kids, to help you set up the table to eat. You can ask for help. To be honest, this was hard for me to do. I’m the type of person or mom, that wants to do everything fast and so rather do it, then let my kids do things on their own. I know this is a culprit of mom burn out and it needs to stop. Letting your children be independent (age appropriate) is great because they can dress themselves, brush their teeth and pick up after themselves. This is going to help you do less and stress less. It’s also awesome to teach your kids independence and responsibility. It’s a win win situation. Even if you sometimes do not feel like getting dressed because exhaustion has consumed your life, it’s still a good idea to find the time to look good. If you look good , you feel good. As a stay at home mom, we’re more inclined to probably wear pajamas all day, sweat pants and not even do our hair. This is bad! In order to avoid and breakthrough mommy burnout, you need to identify your stress factors. What are the things that make you stress throughout the day. Write it down or do a mental note and stop it right on it’s tracks. Stress is also a culprit of mommy burnout and knowing what factors increases your stress, it’s going to help you to find ways to eliminate it. Please do not be so hard on yourself. So what if today you couldn’t do the laundry, so what if today, you bought your child McDonald’s because you didn’t feel like cooking. These are the things that makes us humans. We’re not perfect, we’re trying to learn as we go and I’m sure you’re doing a pretty good job being a mom. You cook, clean, take care of your family, love your family, keep your family organized and tuck your kids to bed every night. I’ll say that’s a victory on it’s own. You got this, don’t be so hard on yourself. Sometimes when you’re so overwhelmed, so stressed, so tired, and done with being a stay at home mom, it’s hard to look at the positive. But, really really look at it, you have a roof under your head, your children are doing great, you have a loving marriage, you have food on the table, I mean I can go on and on. When you look at the bigger picture, this is your life, your family, you’re blessed mama. Yes, mom burn out it’s real, it’s here and it’s sometimes hard to break through it, but I’m here to tell you that you can. Just know that even if you’re going through the biggest storm, you’re family is your rock and will always have your back. 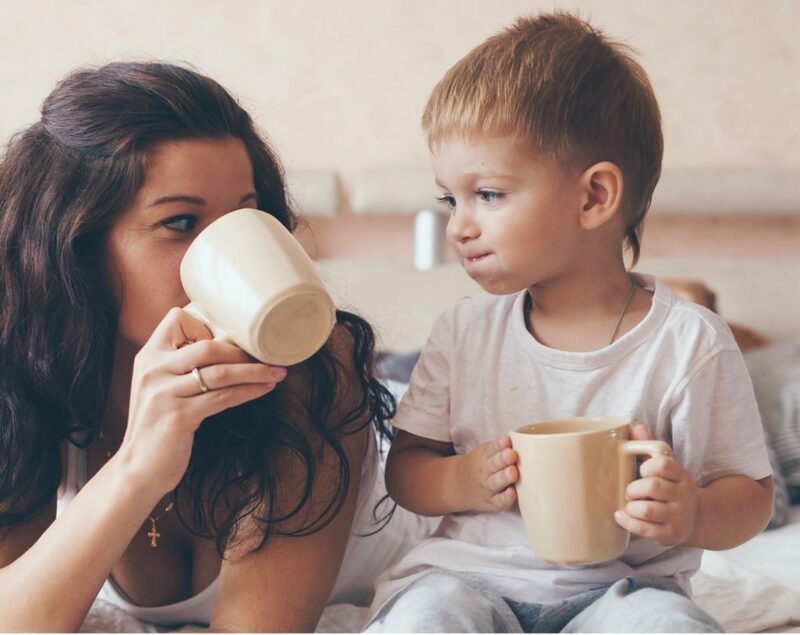 15 ways to be a happier mom even if it’s hard! Motherhood is hard and amazing at the same time. It can have you feeling overwhelmed and burned out if you let it. Know that these feelings are normal, but it shouldn’t be an every day thing. I hope these tips can help you feel less burned out and more happy as a mom! Start living the life that you want even if you’re a mom, because you can! I love your blog. So lovely lovely post! Yes! I love this! Knowing what stresses me out and realizing when I start feeling like I’m about to lose it is key for me. That way I can step away, take a minute, and come back refreshed without losing it! I truly appreciate your work! I find this post to be inspiring, I’m a stay at home mom myself and sometimes i find it to be extremely stressing. I love these tips. Thank you for the article! I’m not a mom yet but I love reading about motherhood. I respect you, moms. 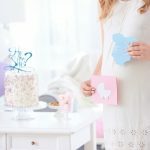 Ellie @TheBabyCelebration recently posted…How much to spend on a baby shower gift?